Are hexagonal clouds to blame for more than just Bermuda Triangle disappearances? Last week, Science Channel’s TV series What on Earth, unveiled a new theory explaining the famous mystery behind the seemingly frequent disappearances of ships and aircrafts in the Bermuda Triangle. According to their research, “hexagonal clouds” found in visible satellite imagery produce dangerous “air bombs” that are similar to microbursts with gusts as strong as 170 mph. They elaborate on this phenomenon in the video linked below. Folks, we are witnessing truly groundbreaking research here. Science Channel’s findings are so unprecedented that they have beaten every scientific publication to the punch. As a meteorology graduate student whose research focuses primarily on marine stratocumulus, the cloud type featured in the video’s satellite imagery, I am personally disheartened by results as I was also beaten to the punch. For my entire academic career, what I had considered to be harmless Pockets of Open Cells (POCs) within stratocumulus, are actually among the most dangerous types of clouds in the world. Furthermore, my master’s thesis is based on now-useless simulation results from a marine stratocumulus model. These simulations yielded maximum downdraft gusts of 4 mph, several orders of magnitude shy of the 170 mph air-bombs actually produced by the hexagonal clouds. I take full responsibility for not previously noticing the hexagonal patterns of these POCs. Had I paid closer attention, I would have noticed that almost all POCs can fit a crudely drawn hexagon within them. As seen in this screenshot from the What on Earth video, some hexagons can even overlap! Rather than giving up on my master’s degree, I’ve decided to pivot my research toward further investigating impacts hexagonal clouds may be responsible for in addition to Bermuda Triangle disappearances. Did hexagonal clouds cause Hurricane Sandy? This would explain why the ECMWF model (Euro) nailed Sandy. The evidence above suggests that the Euro has included the physics of these hexagonal clouds in its simulations for decades leading to superior results over American weather models like the GFS, which are objectively unreliable. Science Channel’s discovery of hexagonal clouds unearths a potentially massive scandal for the ECMWF. The European meteorological agency is always very secretive about their forecasting methods, which is why no research has been previously published regarding hexagonal clouds and air bombs. Had their knowledge been made public, countless lives from disappearing ships and aircrafts could have been saved. It’s one thing to privatize trade secrets when running a business, but the ECMWF’s hiding of hexagonal cloud knowledge is an egregious moral shortcoming. Why would the ECMWF choose to hide this information? To collect money through insurance policies? To hinder Capitalist America’s economic advancements? What other secrets are the ECMWF hiding? The only answer we know for sure is that ECMWF cannot be trusted. Did the Ancient Romans have knowledge of hexagonal clouds? It seems unlikely that uncivilized warrior tribes would be capable of invading and defeating trained Roman soldiers without any help. Perhaps the Barbarians were aided by air bombs during the sacking of Rome, and this knowledge was preserved by medieval artists. 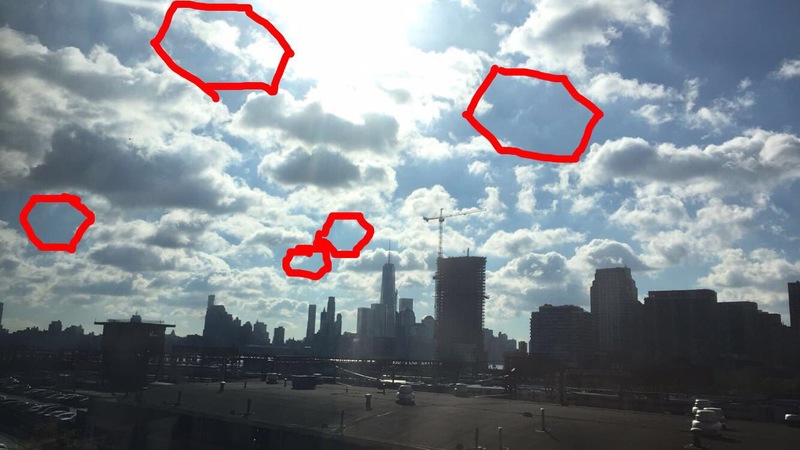 Where will hexagonal cloud air bombs strike next? This is my current view of Lower Manhattan. I’m running to the basement now. Bye! Hello,I check your new stuff named “Are hexagonal clouds to blame for more than just Bermuda Triangle disappearances? – AtmoLife” like every week.Your story-telling style is witty, keep up the good work! And you can look our website about free ip proxy.